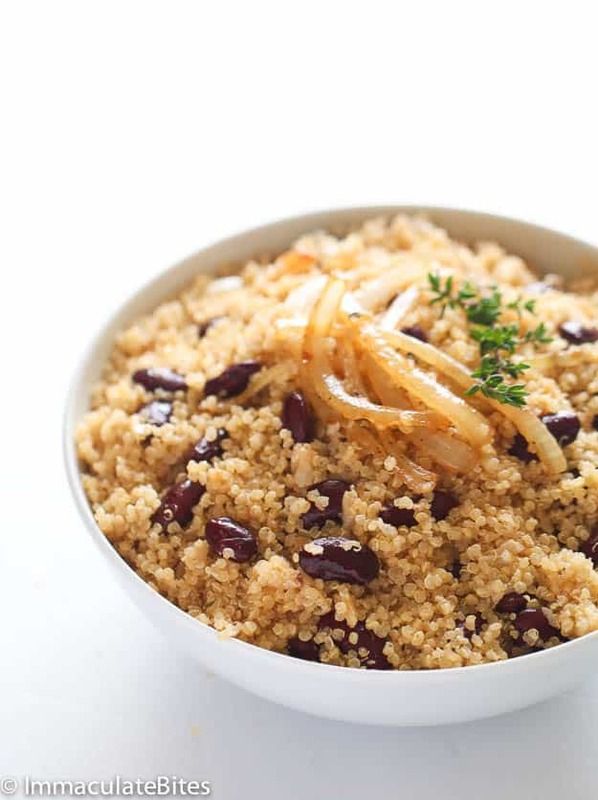 Rice and beans or peas is found on just about every Caribbean restaurant menu and it’s quite delicious too! Yes I confess, I do love me some real rice and peas. And can’t go too long without making them, would never to willingly give it up completely, but sometimes we just have to go the healthy route. 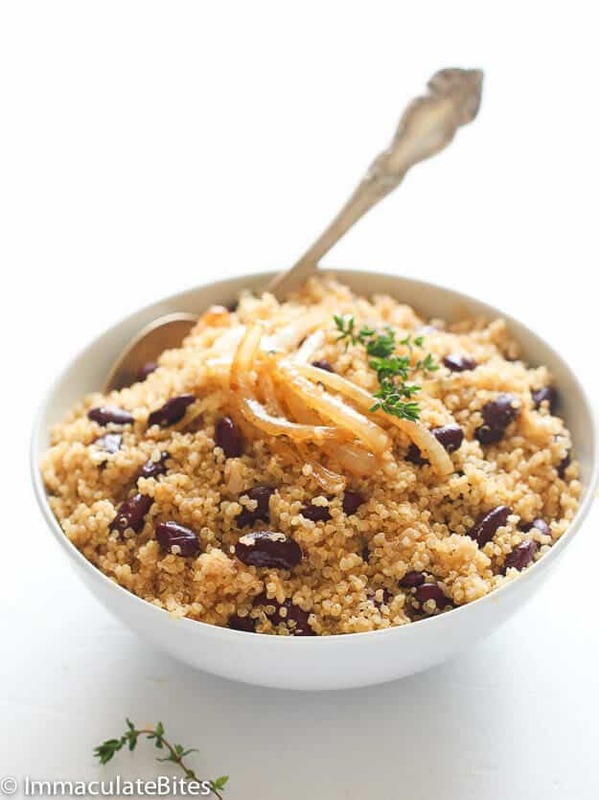 This is a healthy remake of Caribbean Rice and Beans with quinoa. And let me say it is DELICIOUS. Just as tasty as the one made with rice. 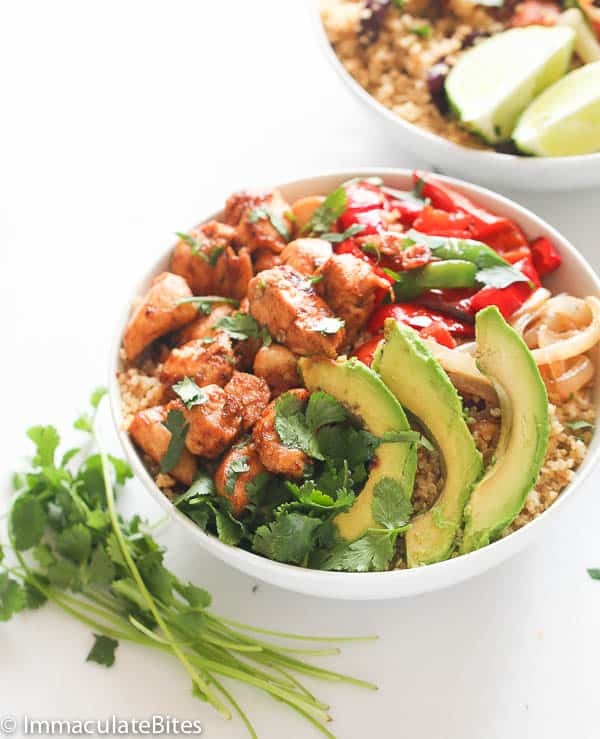 Lets face it Quinoa can be boring but the benefits are astounding, a mother grain”- quite unlike other grains: It’s a complete protein, packed with all the essential amino acids in a balanced protein. Aaaand often cited as one of the BEST protein sources in the vegetable kingdom. Yes, I did some homework! Just in case you are not aware. But feel free to share if you have more to over. Am new to this too. Instead of just making a remake on this I wanted to make it even more exciting and still keep it healthy for you. So there would be no excuses not to make it! These are a few things I did to cut down on the calories feel free to adjust as necessary. I switched out the full fat coconut milk with lite coconut milk and only used a cup. This made a significant difference, calorie wise, cutting in more than half. You may completely leave out the coconut milk in place of chicken or vegetable broth. Also I cut the oil in half, adjust accordingly. 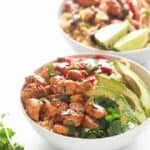 To make it a complete meal for carnivores, I stir fried about a pound of chicken breast and vegetables separately with jerk seasoning to make it quinoa bowl. Top it with avocado if you like. 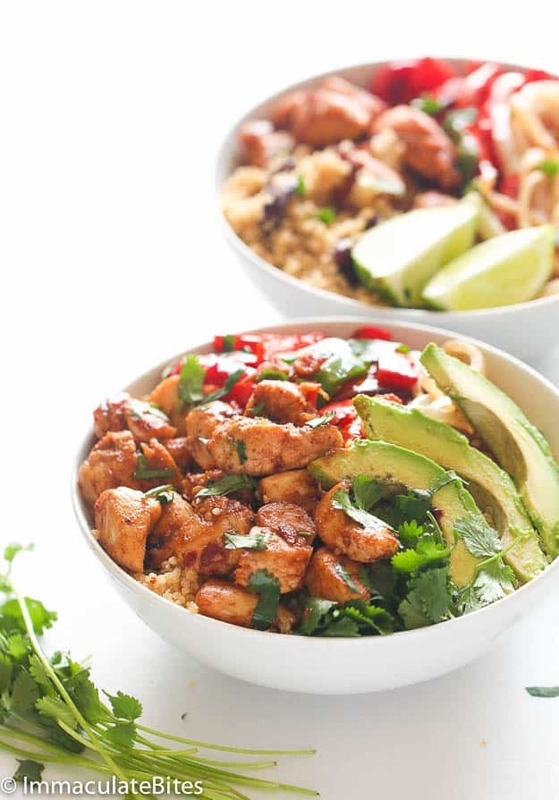 You may replace the scotch bonnet pepper with cayenne pepper(about 1/4 teaspoon or more adjust to taste. 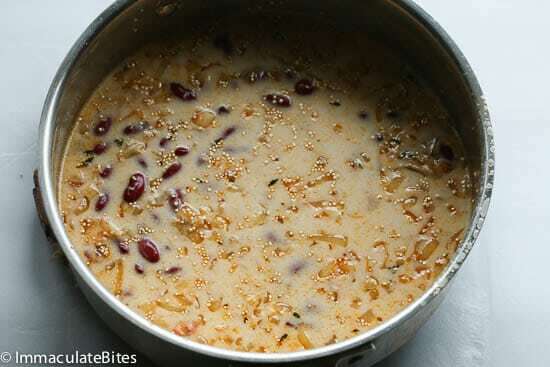 Next time you are in need rice and beans try this one instead .You’ll be glad you did.Enjoy!! 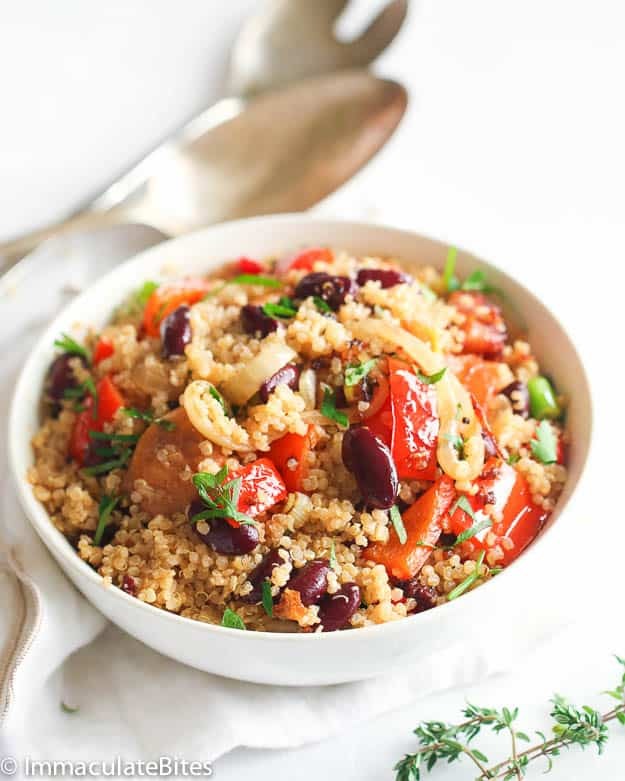 Caribbean Quinoa and beans Bowl – A lightened-up, Nutritious Caribbean Quinoa and beans that will keep you satisfied. – So healthy, Tasty and full of flavor. 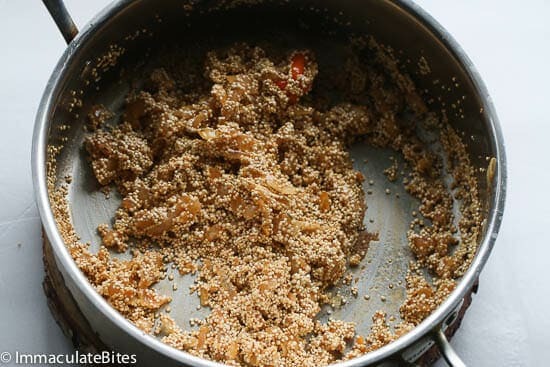 Wash Quinoa and drain water from it. 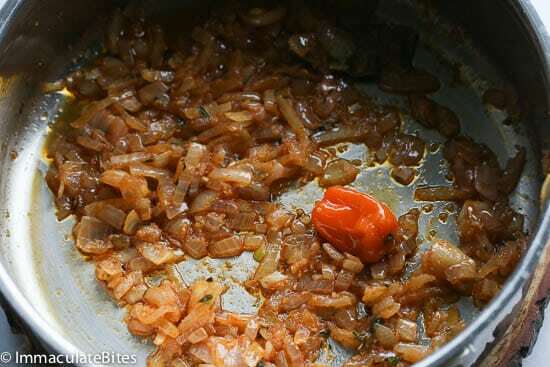 Heat a sauce pan with oil. 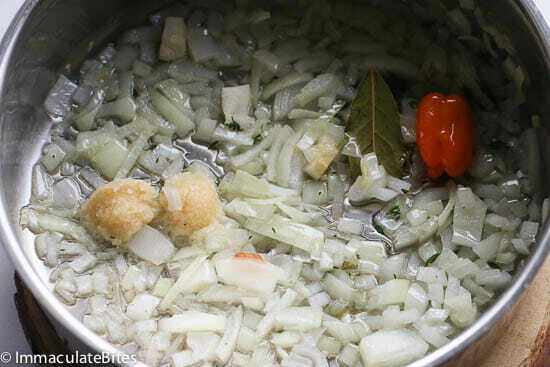 Then add onions, garlic, paprika, thyme, bay leaves and hot pepper, sauté for about a minute. Next add beans , coconut milk, salt, bouillon pepper (if using any )with water . 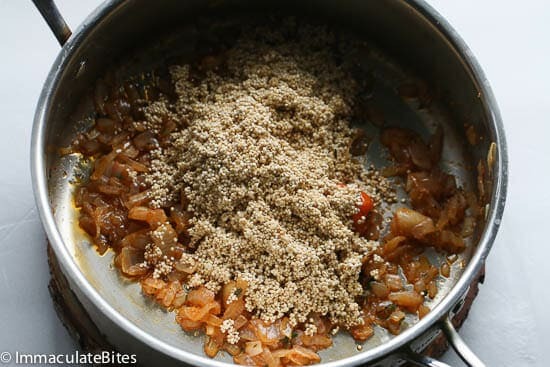 Bring to a boil reduce heat, and simmer until quinoa is cooked, about 20 minutes or more. This was delicious. Made it with jerk mahi mahi and green beans. Cant wait to try more recipes! Glad it turned out well for you, K! Looking forward to hear more from you. Happy cooking! 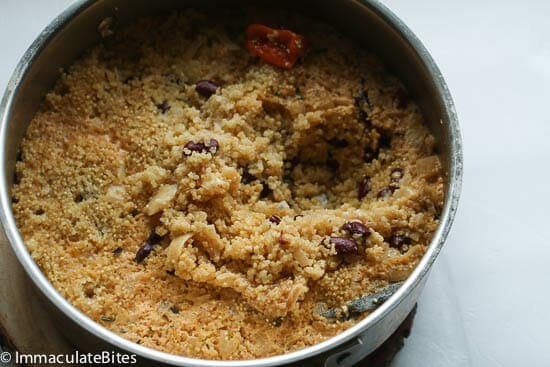 I googled quinoa and beans recipe and I found this recipe. Made this last night and love it. Great recipe. I added roasted broccoli as a side. 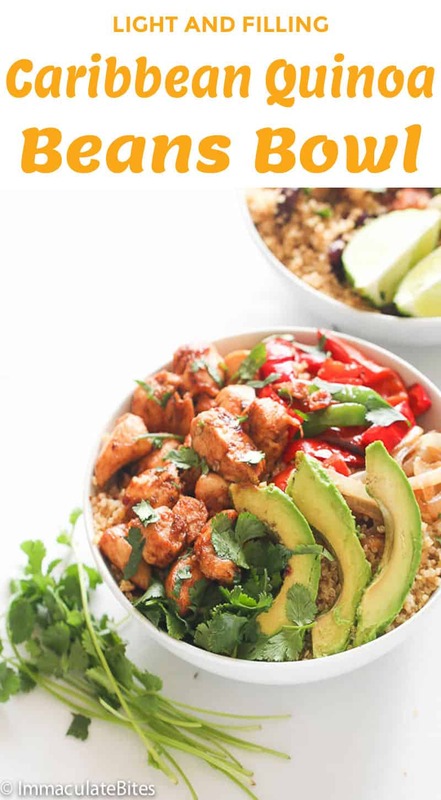 This will be a go-to meal! Thanks!! Wonderful! Thanks for feedback! Glad to hear it worked out well for you. Absolutely delicious. I prepared this and the flavor was phenomenal. It’s my first time eating Quinoa…I’m trying to go the healthy route. Thanks so much for this! By the way, all your recipes look so mouth watering. Oh WOW Sali! Thank you so much. Happy to hear it worked out well for you. Thank you so much Kari!!! Yes, it was very mushy. Would this work with red lentils as well? Sorry to hear about that. I haven’t tested it out with lentils so can’t say for sure. I made this last week and it was delicious. However, i had to cook it much longer because the water wasn’t absorbing. Do you think i need to lower the liquid content/? I want to make sure the beans cook through as well. It is possible i didn’t drain the quinoa well. I can’t say for sure. It works fine when ever I make it. Is it mushy ? 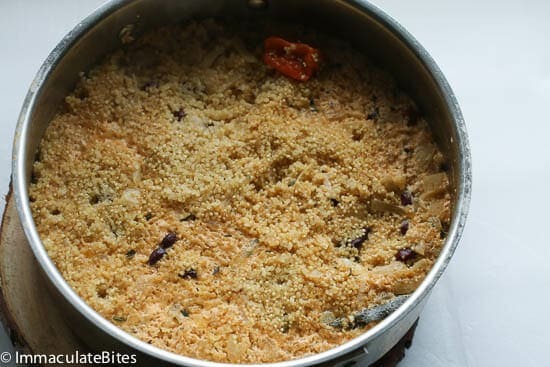 I cook my rice in coconut milk, but have not tried it with quinoa – that will have to change! Aww Tania. Thank you so much!! I am definitely going to give this one a try. Looks delicious! 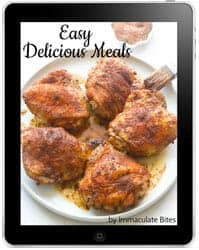 I think I’ll try to season the dish with your jamaican jerk seasoning so the flavor will be the same as your one pot Jamaican rice and beans w/chicken dish (which happens to be one of my favorite recipes). What a brilliant and easy idea for lightening up some of our rice dishes. I tend to use couscous but I think this is brill. Yes, it really tastes great paired with coconut milk. You should definitely give it a try.